The research network 'Knowledge and Power in International Security Governance' studied the International Crisis Group (ICG), one of the most notable and widely referenced producers of knowledge about conflict areas used extensively by policy-makers, the media and academics. Authors took different theoretical and methodological approaches to make sense of this hard-to-ignore conflict expert, exploring the ICG’s daily operations and role in international politics. Which type of knowledge is produced by the ICG? How does the process of knowledge production and diffusion work? (How) can the ICG influence the political process? How can scholars assess the ICG theoretically and methodologically? 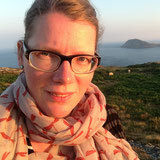 Bliesemann de Guevara, Berit (ed. 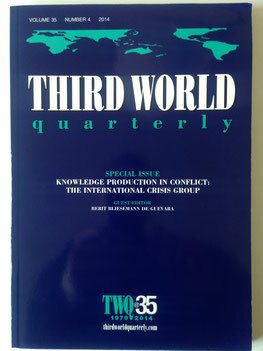 ): Knowledge Production in Conflict: the International Crisis Group, Third World Quarterly (special issue), 35(4), 2014.